The undercut has been a popular punk style for years, but it is a versatile style that can be worn by just about anyone. If you don't want to commit to the cut itself, you can still rock the undercut with a faux version that doesn't involve shaving the hair. The undercut hairstyle is typically done with clippers with a half-inch guard or shorter around the sides and back of the head. The top is left longer to cover the shaved sides. Pink and Kelly Osbourne are good examples of celebrities who wear this style. Pink wears the top of her hair in a faux-hawk fashion while Kelly Osbourne wears the top of her hair long enough to style many ways. 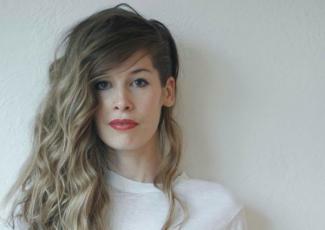 The undercut is a perfect hairstyle for a woman with heavy, thick hair whether it's curly or straight. The basic undercut is a low maintenance style that can have the top cut in many ways. It can mimic a pixie, as shown here, or be asymmetrical or cut into a bob. 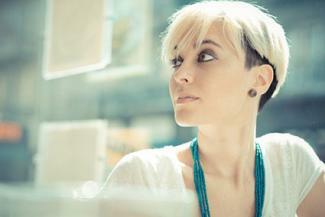 Several women who sport undercuts do a two-tone hair color, such as their natural shade with heavy highlights in the top, or two contrasting colors. Styling a short undercut style depends on how long you wear the top. A short style can be straightened with a flat iron or curled with a curling iron. Applying a mousse or styling cream before drying will help fight frizz from humidity and wind. Finish with a touch of texturizing cream such as Kenra Platinum Texturizing Taffy to keep your hair where you want it without the buildup of several products. 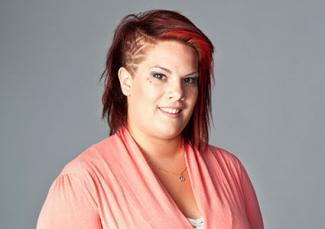 With this variation of the undercut, the hair on one side of the head is almost or completely shaved. Hair is parted with a deep part on one side. The side with the least amount of hair is shaved up to the part and back behind the ear. The deep part allows for a center part to be made and cover the shaved side of the head for a more business or formal style. 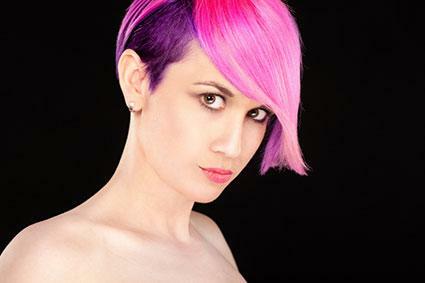 While the hair is typically shaved completely, some women may leave the shaved area with enough hair to color with a bright or contrasting color. The hair that is left can be styled in any way you would normally style your hair: curled, straightened, or with beachy waves. This style does not need styling products outside of what you would normally use for your hair type. The hair of a faux undercut is either braided above the ear or slicked back behind the ear giving the appearance of being shaved. These styles work for any type or length of hair and are very easy to achieve. On dry hair, make a deep side part. Working on the side with the least hair, make a thin Dutch braid starting at the front hairline between the part and the ear. To make the braid, pick up a chunk of hair and make three sections. Work the braid like a French braid but instead of crossing the sections over each other, cross them under. Continue the braid behind the ear and to the ends of the hair. Fasten with a small elastic band. You can finish with a misting of hairspray if there are stray hairs. The remaining hair can be worn natural or styled. Start by making a side part just above the arch of your eyebrow. On the side with the least hair, apply a styling spray wax, such as Paul Mitchell Spray Wax, and comb your hair back behind your ear and around to the nape of your neck. Secure your hair at the nape with bobby pins. If going to a short hairstyle for the classic undercut is not for you, try the faux undercut styles to change up your look. If you're feeling daring, try adding temporary color to the top section of your hair to really make the undercut, real or faux, pop.